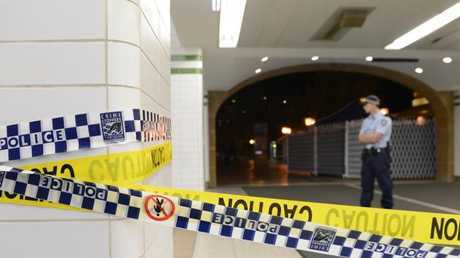 A SYDNEY florist says police had no choice but to shoot a man who threatened him with a bottle at Central Station on Wednesday night. The business owner has given his harrowing account of the incident as police undertake a critical incident investigation into the fatal shooting. "He put his hand to my neck, came from behind and put the bottle here," he told Nine's Today. The florist told the program the man who threatened him was yelling "call the police", and managed to grab scissors from the shop's bench. "After when I got out and he was here with some other people, he had the scissors everywhere. He put some scissors in his belt, and he was holding some," the man said. The florist said railway workers had alerted police who arrived at the scene within minutes. He said officers had no choice but to shoot the man. "If they didn't shoot him, he would attack them with the scissors he was holding." Officers were called to the busy station just before 6.45pm after reports of an armed robbery at a florist near the station entrance. "A man of Asian appearance has died following that confrontation with police," NSW Police Assistant Commissioner Mark Walton said. "That investigation will be subject to independent review." The man has not yet been identified and it's unclear if anyone else was injured. The incident is not believed to be terrorism related. Graphic video posted on social media filmed by an eyewitness shows two police officers with their guns drawn and aimed at a man inside a florist before someone yells "down". The man appears to run from the florist towards police before four shots are fired at him. "F***, f***," an onlooker can be heard screaming. The man can then be seen lying lifeless on the ground as police come to his aid. "Everybody move away," someone can be heard saying before the video ends. NSW police said "a man has been shot following a confrontation with police and has died at the scene." 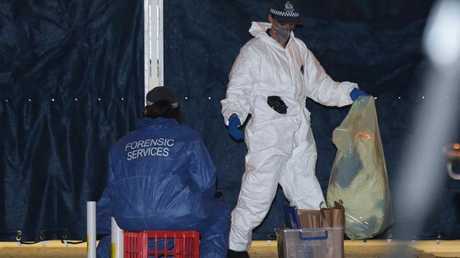 "A critical incident team from the Homicide Squad will now investigate all circumstances surrounding the incident. "That investigation will be subject to independent review and all information will be provided to the Coroner." Witnesses told news.com.au the man did not appear to be involved in a robbery but that he was behaving in a violent manner. 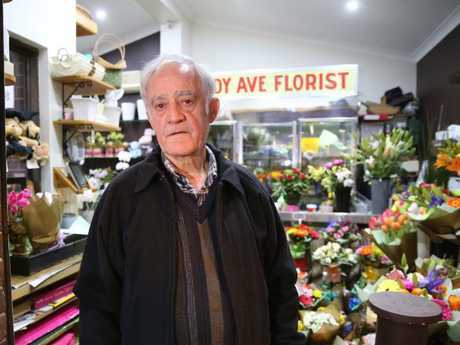 Nathan Yin was standing near the Eddy Avenue entrance to Central Station waiting for a friend when he saw an Asian man, who appeared to be in his 30s, approach the florist and start "breaking everything". "A man came from nowhere. He tried to grab an old man, the florist owner, and he was pulling him and yelling at him. I said, 'What the f*** do you want?' and he said, 'I just want to die'," Mr Yin told news.com.au. "I took off my bag and yelled at him, I tried to get him to stop." Mr Yin said he called police, who arrived within five minutes. That's when he says the situation escalated. "The man, I think he was holding scissors and trying to grab police and the police have shot him. Three or four gun shots. "I was right there and I tried to escape the gunfire. I saw him go down. I think he got hit all over the body and he went down straight away." SBS reporter Andrea Booth at the scene said witnesses described the man saying "shoot me" to police and holding scissors in his hand. Video shows police attempting to treat the victim. Another witness, Serena Whelan, said she heard three loud bangs from the park across the road around 6.20pm. CJs Central shop owner Sami Aryal also witnessed the incident. "I was just about to go to the toilet, and I saw three to four police officers holding a gun. They were saying something to the man like 'put your hands down'," he told The Daily Telegraph. "And then after 20 seconds, the man came out of the flower shop and he was shot about three times." A worker at a nearby store described hearing screams before the shots. "I heard screaming. I heard 'put it down, put it down'. and then there were three or four gunshots," he said. The area has been cordoned off and emergency services remain on scene.